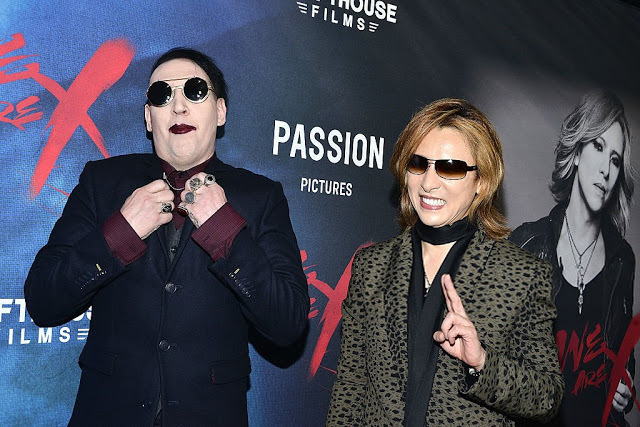 Marilyn Manson and YOSHIKI Take Their Collaboration to the Next Level at Coachella (and We Will Be Discussing It on VKH Live!) | VKH Press – J-Rock & Visual Kei Coverage Worldwide! We've just been given an exciting update about X JAPAN's second Coachella concert, courtesy of Marilyn Manson's Instagram! X JAPAN and Marilyn Manson will be performing together on Mojave Stage this Saturday at Coachella! Manson posted the announcement with the caption "I am happy to join my great friend @yoshikiofficial and #Xjapan at #Coachella on Saturday the 21st for a special performance." 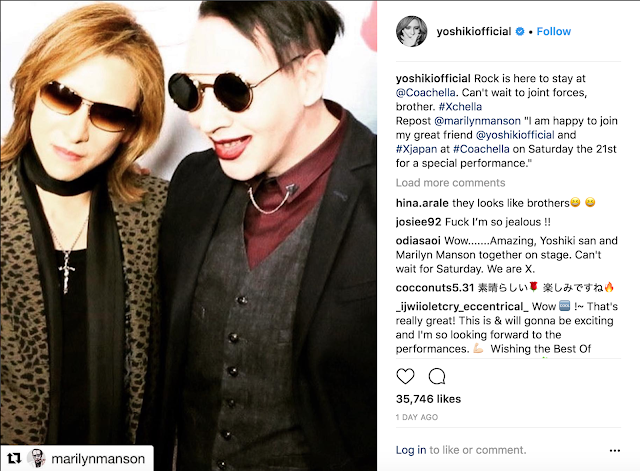 YOSHIKI reposted it on his own account, and added that "rock is here to stay" at Coachella. On a related note, we've decided to do a special edition of VKH Live this Friday, April 20th at 7 PM EST/4PM PST to cover all the interesting aspects of X JAPAN's appearances at Coachella! We will be reviewing the band's performance from this past weekend, discussing the upcoming appearance of Marilyn Manson, and recapping the other famous musicians that appeared on stage during the band's debut Coachella performance. Make sure you subscribe to VKH Press on YouTube to get a reminder, and click the video below to see when the stream will start in your time zone! Scroll on to see YOSHIKI's Instagram post and the embedded video for Friday's live stream!